The Winning Poker Network has announced that its next three-tier OSS Cub3d tournament series will run from Sunday 13th August to Sunday 10th September. 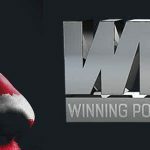 Fans of valuable online poker tournaments have not exactly been starved of action on the Winning Poker Network recently. Last weekend, the network´s WSOP Mega Satellite paid out $625,000 in cash prizes to fifty lucky players, the Sunday Special and Sunday Warmup paid out nearly $300,000 in cash prizes, and seven players won $4,900 packages to Punta Cana Poker Classic in October. Not content to rest on its laurels, the network has announced its biggest OSS Cub3d tournament series yet – guaranteeing more than $6.7 million in prize money over 141 events and featuring a $1 million guaranteed Million Dollar Sunday on 3rd September. That´s an incredible $1.2 million more on the tables than when the series was last played back in April and May. What is the OSS Cub3d? For readers unfamiliar with the OSS Cub3d concept, the tournament series consists of three “mini-series” played almost back-to-back. The first of the trio of series is the Mini Online Super Series (MOSS). MOSS will take place from Sunday 13th August to Sunday 20th August and features 47 “mini” events with buy-ins ranging from $0.06 to $88.00. After a couple of day´s rest, the Online Super Series (OSS) gets underway on Wednesday 23rd August. This is the main body of OSS Cub3d and features 77 events guaranteeing more than $3,690,000 in prize money. 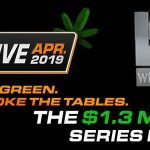 The events have buy-ins starting at just $1.10 and going all the way up to the $540.00 buy-in for the Million Dollar Sunday on the last day of the OSS series. The Bigger Online Super Series (BOSS) is the shortest of the three “mini-series” – running from Wednesday 6th September to Sunday 10th September. This series is for the big hitters, with the 17 events having buy-ins of between $109.00 and $2,100. Naturally there will be an extensive satellite schedule feeding into the BOSS events and the more valuable MOSS and OSS events. 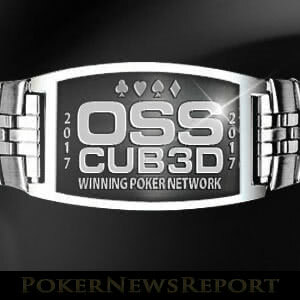 In addition to $6.7 million in prize money, the Winning Poker will award sterling silver bracelets to the winners of each of the series Main Events (MOSS; OSS and BOSS), and the top three players in the OSS Cub3d leaderboard competition. The top three players in the leaderboard competition will also win packages to the Punta Cana Poker Classic. The leaderboard competition will run throughout all three OSS Cub3d mini-series, giving players competing in the smaller buy-ins the opportunity to make their mark in the competition – especially as the winners of low buy-in events with a high number of entries can score more points than the winner of a high buy-in event with a small amount of entries. The leaderboard will be updated daily so that players can see where they feature in the running for a prize; but please note leaderboard points will only be awarded in “official” OSS Cub3d events. 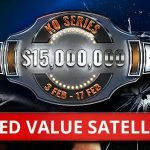 There are no points available in any of the satellites feeding into the OSS Cub3d events nor in any of the Winning Poker Network´s regular feature tournaments. 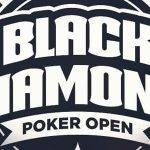 You don´t have to wait until August to play for valuable prizes at WPN sites such as Americas Cardroom and Black Chip Poker. Each weekend the Network hosts the most valuable online poker tournaments open to US residents – the Sunday Special and the Sunday Warmup – plus you can also win a package to the Punta Cana Poker Classic in the $55.00 buy-in Beast tournament. And it is not just tournament players who have all the fun. Sites on the Winning Poker Network host around-the-clock cash games, Jackpot Poker Spin & Go games, and a new Sit & Go 2.0 game in which you could win a share of a six-figure jackpot just be being seated at the right table at the right time. Want to know more? Visit a WPN site today and see just how much is going on!